« How to Find Websites You’ve Visited? How to Get the URL for Pictures? Open up Mozilla Firefox and browse around any website. Right click on the image you want and choose the “Copy Image Location” option. This would copy the url of the image. You can paste the link on to a new browser or any text file to store the data. 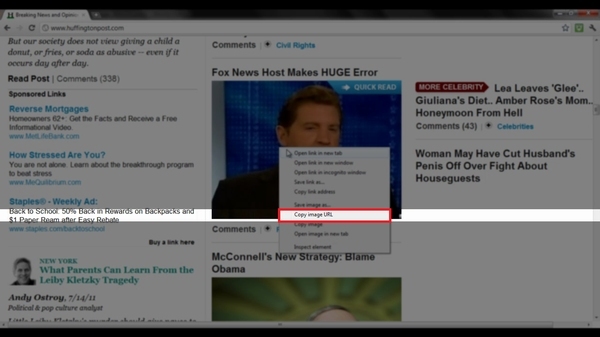 Similarly in Google Chrome, right click on the image you want and choose the “Copy Image URL” option. Now you can open up a new tab or any text file and paste the link there.